Look what arrived at the Ballpark recently! It's Christmas in August! Interestingly, today is my birthday, and it's a fun gift to myself to share this with you. An e-book I've been working on for four years was completed last month. It's now available here: THE 12 DAYS. I had a crash course on e-publishing over the spring months, and by the grace of God and unending support from our technology wiz daughter, the story I've been encouraged to share for a long time now has a venue. For someone who still has trouble working her cell phone, this is a colossal feat. Thank you, thank you to all who heard me talk about this endeavor for years. A bit about this baby: Over twenty years ago, our family was anonymously given 12 days of surprises over the holiday season. The daily gifts were small and simple, but precious. The following year, we gave the 12 Days project to someone else. We have been doing this every year since. 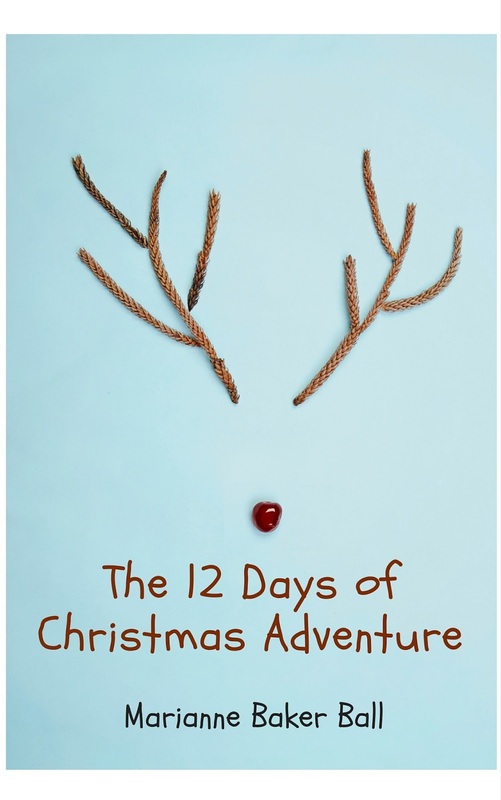 The book explains how the project is executed and offers over 100 gift ideas (home crafted, baked and purchased), based on the lyrics to "The Twelve Days of Christmas" carol (doves, rings, dancing ladies, pipers, drummers - it's crazy fun!) It shares how receiving this gift so long ago changed my heart about holiday giving, and it has testimonies from recipients of this gift - how it blessed them. If you are tired of and frazzled by the holiday chaos that accompanies Christmas (I was) and are looking for a way to create a different atmosphere in your home during the month of December, this book is for you. If you want to teach your children in a very hands-on way that Christmas is about giving, not consuming, this book is for you. 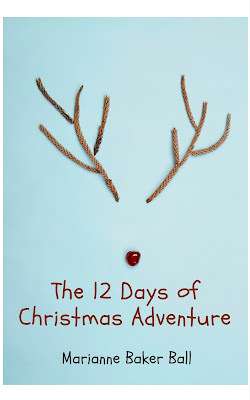 If you want a fun, sneaky, holiday adventure, this book is for you. If you want to learn how to make Octopus bread, here's the book for that. I'm so grateful for readers and followers and anyone who has been kind enough to ever finish a post of mine. You are the peeps I most want to share this with. Just answer this question: what is your favorite holiday tradition? (the food, gift exchanges, Christmas services, caroling, fighting with shoppers over bargains, etc.) Also leave an email address where I can contact you. I'll choose a winner Monday (the 31st) evening at 6 p.m. EST. My favorite part of the Christmas season are the decorations and the midnight mass. I personally think that the chaos/ craziness of presents should just not be a part of the Christmas season. Sure, presets are nice, but the insanity leading up to them just ruins it. Oh, and I also enjoy the Christmas cookies (baking and eating ). My favorite thing about the holiday season is decorating the tree. Every time I unpack an ornament, it feels as though I am greeting an old friend. This is so exciting Mare! My favorite thing about Christmas is the anticipation of giving gifts to my kids. My second favorite thing is my tradition of asking my family members to use the money they would have spent on gifts for me to bless others and then write me a letter to tell me what they did, and give that to me in lieu of a gift. I get to sit there and read the letters and get chills and get teary-eyed and weepy and it's wonderful! Way better than jewelry or gift cards!